This photograph has been scaled down; full resolution photograph is available here (5,630 by 4,299 pixels). 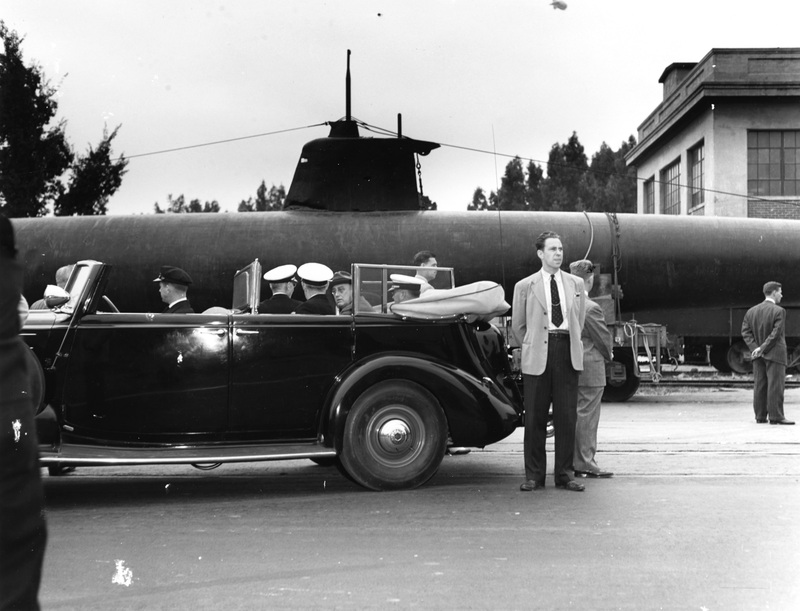 Photo of Sakmaki's midget submarine in Sept. 1942 at Mare Island Naval Shipyard, Calif. One of the many stops President Roosevelt's 9,000- mile trip around the country. The President talks to Vice Adm. John W. Greenslade and Rear Adm. Wilhelm L. Friedell Secret Service agents stand guard .